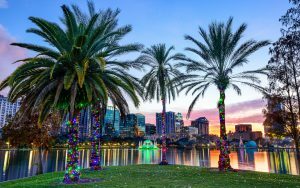 Orlando Fl is considered one of the most popular cities in America among travelers from different countries. This city in the center of Florida is the real capital of fun, amusement parks and dizzying shopping. For a long time, Orlando remained a small settlement, the peak of development occurred in the middle of the 20th century. Today it is not only a progressively developing industrial and scientific center, but also a major tourist area. Travelers are attracted by picturesque parks, beautiful botanical gardens, amusement parks and numerous museums. Orlando is a real find for fans of outdoor activities. A lot of attractive parks for walking, dozens of entertainment centers, incredible attractions and modern sports. 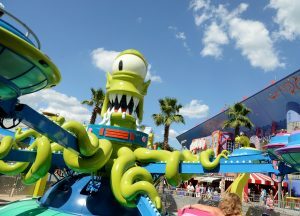 The most famous sight of the city was the amusement park Disney World brilliant idea of the animator Walt Disney allowed to turn the empty territory of the city into a fantastic world of fairy tales and fantasies. Opening of the park took place in 1971, since then millions of adults and children have visited this wonderful entertainment complex. On the territory of Disney there are more than ten modern amusement parks, each of which is individual and unique. Guests of the entertainment center can plunge into the plot of the film and feel like participants. Especially spectacular entertainment complexes are those with the use of cinemas 3-D. No less popular there are water attractions as well as the roller coaster. Visitors to the park can fully experience the real sensations of the presence in the horror, thriller or comedy film. Some attractions were developed with the direct participation of the filmmakers themselves. Interesting: There are also several grounds for concert shows and children’s playgrounds for the youngest visitors in the park. Walt Disney himself was the initiator of the idea of creating the “Kingdom of Animals”. The essence of the idea was to create a park, in which animals could live in natural conditions of their kind. Unfortunately, at that time Disney did not have the necessary finances, so the creation of the zoo was delayed. It was opened much later after the death of Disney – in 1998. The structure of the zoo is made so that visitors do not bother the animals with their attention. The fact is that animals are not limited in their freedom of movement, that’s why it is not so easy to observe them. For example, with the onset of heat elephants, lions and rhinoceros move to the rainforest. in others – a whole complex of entertainment, among them – rafting, wandering along animal trails, geysers, dinosaurs and much much more. Interesting: Today, about 500 species of animals live on 500 acres of land. Staying in Florida cannot be called full without a trip to the Kennedy Space Center. This is the only place on Earth where you can go on an excursion to the current headquarters for the launch of space rockets! Here you can see giant rockets with your own eyes and ride a space simulator in launch mode. The Kennedy Space Center is a complex of facilities designed for launching spacecraft and flight control belonging to the National Aviation and Space Agency (NASA). The center covers a total area of 567 km ², and is located on Merritt Island. Merritt Island and the national coast of Canaveral. It is interesting to note that parking for visitors occupies an area comparable to the area of the center itself. Particularly popular there are certain hours and days of the month when you can attend at the start of the spacecraft or watch the landing of the shuttle. 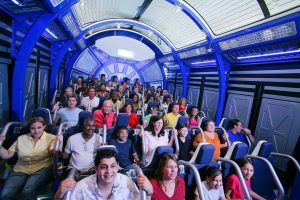 Interesting: The complex has entertainment for children, for example, you can compete in dexterity and ingenuity, try yourself in the role of an astronaut, having experienced small overloads on the simulator of launching the shuttle. Gatorland Park is the largest zoo of crocodiles and alligators in the world. It is based in Orlando, Florida. 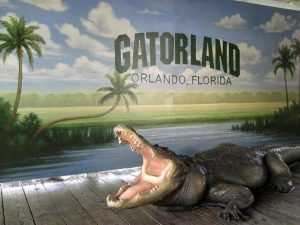 What attracts visitors to the Gatorland? Here there are over a thousand individuals, some of them are very large. All reptiles are planted in cages, young individuals are kept separate from adults. The main distinguishing feature of Gatorland Park is a huge lake occupying the central territory. Around this lake there is a large number of various species of birds. There are many tourist trails that allow visitors to feel unity with nature. Interesting: Recently, Gatorland Park has replenished in the form of four rare alligators, albinos. Due to the lack of possibility to disguise in nature such reptiles practically do not remain. The first United Orthodoxy Methodist Church appeared more than 130 years ago. With the development of the city, the First United Methodist Church began to attract adherents to the spread of the Word of God throughout the city of Orlando and beyond. The origins of the First United Methodist Church go back to the 1840s, to the cities of Central Florida. In 1874, Methodists joined with two other denominations to conduct regular worship services in the old abandoned courthouse in the city center. In 1882, the Methodists built their small church on the corner of Magnolia Avenue and Jackson Street, and in 1888 the building was expanded to accommodate the growing number of parishioners. In 1986, the church acquired a building along the South Street for the organization of the sanctuary. The building was renamed Wesley by the Ministry of Education and Construction, in 2007 the renovation was done and the Child Development Center began to conduct Sunday school classes with the support of the Ministry of Youth, the church and district assemblies. 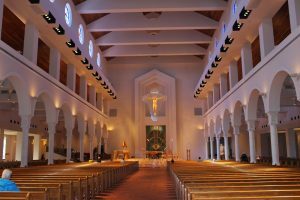 The First United Methodist Church was involved in organizations such as the Unification for the Homeless of Central Florida and the Christian Center. Interesting: The First United Methodist Church of Orlando continues to offer innovative programs of ministries that have a favorable impact on the needs of Orlando citizens, welcoming everyone who visits the church. 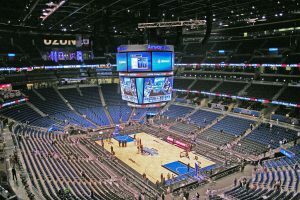 Arena Amway Center, the best arena of the NBA in 2011, which bears the name of a well-known brand, is designed for sports and concert events in the city of Orlando. On this stage, Sir Paul McCartney and Lady Gaga acted. The Amway Center is owned by the billionaire and founder of the Amway company Richard Devos and his son-in-law Bob Wander. The Amway Center was built in 1989, and is one of the most high-tech entertainment arenas, with a capacity of up to 19,000 people during concerts and up to 18,500 people during sporting events. The Amway Center rental is home to the Orlando Magic teams from the National Basketball Association and Orlando Predators from the Higher Soccer League. Interesting: From the beginning of the season of 2012, the team from the semi-professional hockey league “Orlando Solar Bears” has its home games. A blooming and fragrant garden in the open air, located between the alleys and fountains, is an ideal place for meditation and leisurely reflection. To spend time in communion with the Lord, a fertile Chapel was specially built. Here time slows down its course – the Church of Mary, Queen of the Universe. From the gracious Chapel, you can see the magnificent bronze sculpture of Mother and Child, created by the famous artist Jerzy Kenar. Not so long ago, the Pilgrimage Center was opened, in which visitors have the opportunity to learn about the history of the Christian Pilgrimage and the place of the Catholic Church in world history. The interactive exposition “Pilgrim Pope” is a feature of the church. 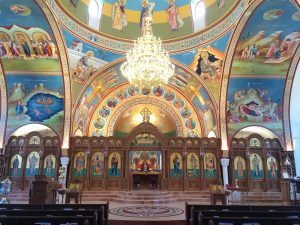 Within the walls of the church there is a museum that is a reflection of the historical treasures of the church art in the United States of America and around the world. Pinella bayway bridge was opened in 1962, it is the only drawbridge in the Pinellas Bayway system, which includes a number of bridges and dams crossing the Bay of Boca Ciega in St. Petersburg, Florida. After major repairs in 2005, the bridge became one of the most beautiful bridges of the city. It is a complex construction of steel and concrete, which consists of 12 spans installed on massive piers. the speed limit is within 24 kilometers per hour. The bridge includes two automobile lanes and equipped sidewalks for pedestrians. Tracking cameras installed on air platforms record transport traffic. 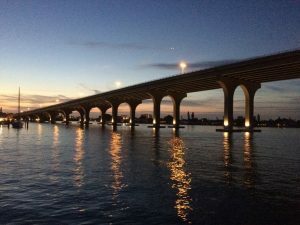 Interesting: Pinella bayway bridge is located in a picturesque place. Here you can organize an excellent picnic, go fishing and take a fascinating walk along the river, admiring the many sights of the city. 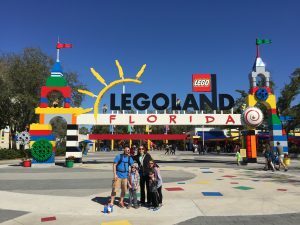 The country of Lego in Florida is an amusement park built for children and adults. 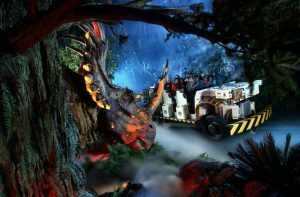 This is the second Legoland in North America, which was opened on October 15, 2011. The possibility to enter the Land of Lego will cost you $ 55 for those under 13 and over 59, and for everyone else – $ 65. It is located just 45 minutes from Orlando and lies along the shore of Lake Eloise in Winter Haven. In Lego, you can learn driving on your own yacht or a Lego car. Interesting: The main attraction can be considered Build-A-Raft River, where guests are invited to build their own Lego-raft and swim along the lazy river, playing Joker for hours. Citrus Tower was built to allow visitors to watch the kilometers of orange groves surrounding it. 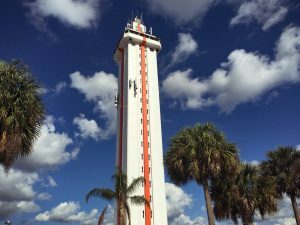 The tower rises more than 152 meters above sea level, which allows it to be called the highest point in the state of Florida. Citrus Tower rises as a landmark, since 1956. Today it fights for the title of being the tallest with water towers and office buildings that flooded Florida. Rolling on the elevator to the very last floor of any high-rises, there is a hope to see Citrus Tower in all its glory, as the keeper of the history of high-rise buildings in Florida. In the Citrus Tower there is a place called “Make a wish” – there you can hear the sound of an abandoned coin during its fall to the bottom. In the building that adjoins the tower’s basement, there is a large gift shop open practically at the same time as the Tower, as well as a local church. Interesting: Such attractions as the Citrus Tower, there are still a few, which makes them really valuable, as they are custodians of the history of the state of Florida. 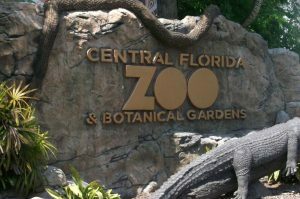 The Central Zoo and the Florida Botanical Garden are a tropical world in which you can relax and also visit interesting educational programs with the whole family. and travel around the zoo by train. In addition to monitoring more than 400 species of animals, you can enjoy our practical course in the ZOOm Air Adventure Park, or, bringing your sandals and swimsuit, plunge into the “Tropical Land Spray” program for cooling – children of all ages will enjoy splashing in the children’s playground. The Central Zoo presents the largest collection of southeast venomous snakes and non-poisonous reptiles in the terrarium. On the territory of the zoo there is another zoo – with insects, where children can dress like insects, play with insect dolls, collect puzzles, read books about scorpions or praying mantises, examine them in a microscope. The zoo also has the butterfly garden, the KaBoom sports ground, the LaserTag laser battle and other attractions. Interesting: The Central Zoo and the Florida Botanical Garden also offers a party for your child’s birthday, with the opportunity to have a party for the company or a family picnic. Park Iola Lake is a picturesque place with a lake, in the center of which you will see a beautiful fountain. With the onset of darkness, the artistic illumination of the fountain transforms the neighborhood of the park. Just imagine: evening Orlando, Lake Iola Park in the light of the soffits, the noise of the water and the silence of nature. Park Iola Lake is great for romantic meetings, as well as for sports walks on special paths. A lot of trees and palm trees are planted in the park, among which children’s playgrounds are provided for children. A special atmosphere is created by leisurely strolling people, as well as white and black swans, which can be fed from the hands. If you ever had a dream to stroke a swan, then in the Lake Iola Park it will certainly be realized: in the park there are special automatic machines with a bird food that wants to buy enough food and feed the birds from their hands. A handful of food will cost only 25 cents. Interesting: Park Iola Lake is a place that leaves a sea of positive memories and emotions, thanks to a stunning atmosphere during walks in the light of the flickering lights of the fountain lights and the birds living in it.